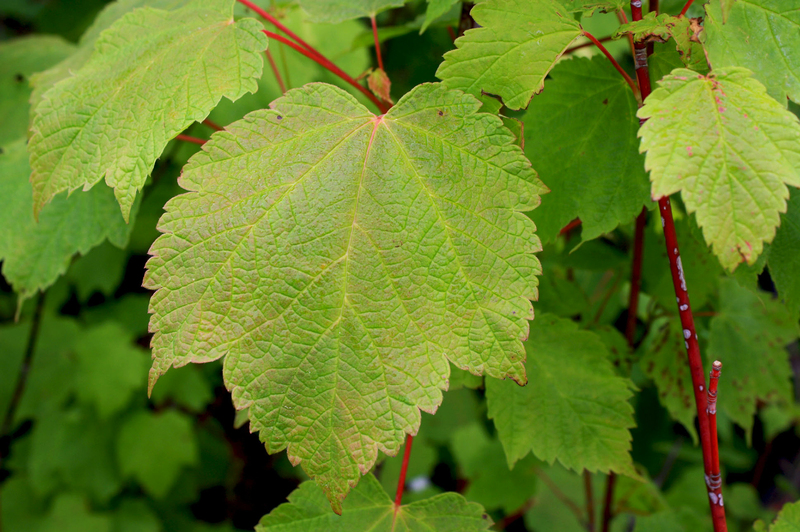 Unmistakable maple leaves which remain true to the genus Acer. The sap can be used as a drink or boiled down to make maple syrup. Important plant for preventing erosion on stream banks and steep slopes. Spreading branches become buried in leaf litter where they put down roots and send up new shoots. Attracts pollinators. Leaves : Dark yellowish green in summer changing to yellow, orange and red in fall. Stem : Bark is thin, brownish or grayish brown. Young stems are coated with grey hairs.